Use the above link as a reference for writing your friendly letter. 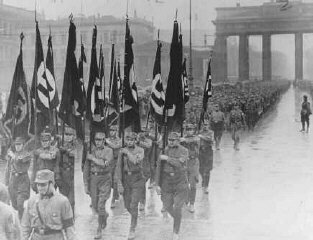 After Hitler became chancellor of Germany, he persuaded his cabinet to declare a state of emergency and end many individual freedoms. Here, police search a vehicle for arms. Berlin, Germany, February 27, 1933. Hitler also relied on terror to achieve his goals. 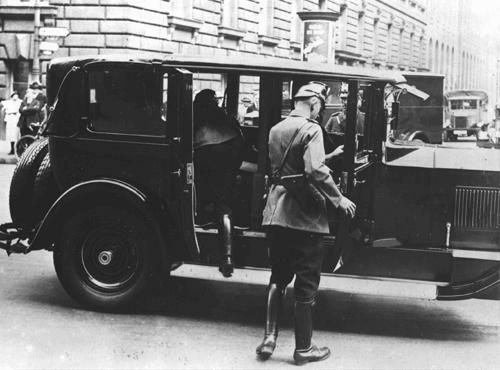 Lured by the wages, a feeling of comradeship, and the striking uniforms, tens of thousands of young jobless men put on the brown shirts and high leather boots of the Nazi Storm Troopers (Sturmabteilungen).Called the SA, these auxiliary policemen took to the streets to beat up and kill some opponents of the Nazi regime. Mere fear of the SA pressured into silence other Germans who did not support the Nazis. Given what you know about the first amendment in our bill of rights Can you using information from the text and the first amendment to make an argument that the rights provided in the First Amendment are important to a country. Post on Jane Goodall below. Write a summary of yesterday chapter. Tell me what happened in the chapter. Write at least 5 sentences. Post on Stalin is below. About Stalin and how he came in to power.